Dr. Blair is a native of Flat Gap, Kentucky. He earned his Bachelors of Science degree in Biology from Morehead State University and his Doctorate of Optometry from the Southern College of Optometry in Memphis, Tennessee. 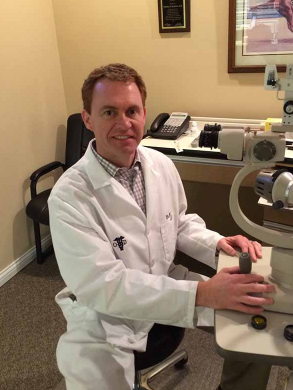 Dr. Blair is a long time resident of Union and he has been practicing in Union since 2006. He is also a proud member of the Kentucky Optometric Association. Dr. Blair’s wife is a school teacher and they have two beautiful children. In his spare time he enjoys spending time with his family, traveling and snow skiing.